Hydrocodone-Acetaminophen: How to Use It Safely for Pain Relief? Acetaminophen and hydrocodone are two separate medications that are available as a combination drug for the treatment of moderate to moderately severe pain. Acetaminophen is used to treat pain and fever. It is not habit-forming even with prolonged use but can cause liver damage if consumed in large doses. Hydrocodone classification is a narcotic analgesic with a high potential for abuse and addiction. The two medicines together are highly effective in relieving pain, but the use of this combination is not without risk. 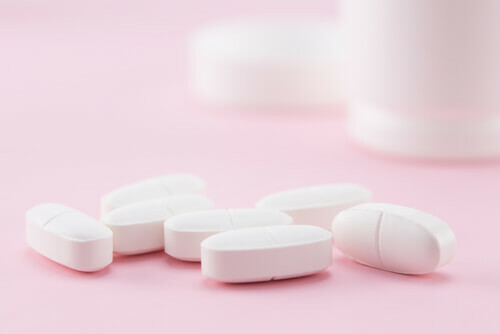 Let’s find out what is hydrocodone acetaminophen and the uses, potential side effects, drug interactions, and warnings associated with this medicine. How Does Hydrocodone APAP Work? How to Take Hydrocodone and Acetaminophen Combination Drugs? What are the Possible Side Effects of Acetaminophen/Hydrocodone? What are the FDA and Other Warnings for this Drug? What are the Special Precautions for People with Certain Health Conditions? What are the Acetaminophen and Hydrocodone Bitartrate Drug Interactions? Is It Possible to Develop Addiction to Hydrocodone APAP? Hydrocodone APAP contains an opioid (narcotic) as well as acetaminophen which is an analgesic (painkiller) and antipyretic (fever reducer). Hydrocodone blocks receptors that give rise to pain signals and decreases a person’s ability to perceive pain. Acetaminophen is a non-narcotic pain reliever that elevates a person’s pain threshold and allows them to tolerate higher levels of pain. The combination drug is a prescription medication and a controlled substance. Doctors use it to treat moderate to a moderately severe pain that cannot be controlled with other less potent medications. It is prescribed to people who need around-the-clock pain relief requires with an opioid analgesic. Hydrocodone with homatropine (brand name Hycodan) is indicated for symptomatic relief of a cough. The medicine is available in a number of different strengths under various brand names. For example, hydrocodone acetaminophen 5-325, brand name Norco, contains 5 mg of the opioid and 325 mg of the non-narcotic analgesic. For more severe pain, hydrocodone acetaminophen 10-325 or hydrocodone M367, a more potent formulation with a 10-mg dose of the narcotic analgesic may be used. For moderate pain, a lower dosage, such as hydrocodone acetaminophen 5-300 or hydrocodone 2.5 mg/acetaminophen 325 mg, may be sufficient. Acetaminophen/hydrocodone contains a narcotic analgesic that has a high potential for abuse and addiction. This drug can be habit-forming even when used at prescribed doses. Here are some rules to take the drug safely and reduce the risk of addiction. Take hydrocodone/APAP exactly as prescribed – do not take larger amounts, more frequent doses, or take it for longer than prescribed. Tell your doctor about any personal or family history of alcoholism or street drug use. Keep track of the number of tablets you received, so you will know if some are missing. Keep the medication in the bottle it came in, tightly closed, away from light, and out of reach of children. Carry the medicine and your prescription with you when traveling – do not put the bottle in your checked bag. Airport x-ray machines are safe. Do not leave the bottle in the glove compartment of your car where it may be exposed to extreme temperatures. Do not mix it with other medications, for example, Xanax and hydrocodone, because this can result in dangerous drug interactions. Do not share your prescription or obtain pills from family and friends. Do not stop using the medicine suddenly after prolonged use. Deposit unused medication at your pharmacy or flush it down the toilet. The combination of narcotic and non-narcotic analgesic medication can impair thinking and slow reactions. It can cause severe drowsiness and dizziness, leading to falls and accidents. That’s why it is a good idea to avoid driving, operating heavy machinery, or performing hazardous activities, such as climbing ladders until you know how your body will react to acetaminophen-hydrocodone. Tablets and capsules are available with varying amounts of the two medicines, for example, hydrocodone acetaminophen 7.5-325 and hydrocodone acetaminophen 5-500. The tablet or capsule should be swallowed whole with a full glass of water and with food to avoid an upset stomach. Crushing, breaking, or dissolving an extended-release formulation can lead to too much of the medication being released at once, causing serious problems including overdose and death. Correct administration of the liquid formulation requires measurement with a medicine cup, dosing syringe, or measuring spoon for exact dosing. The drug should be stored at room temperature (60-85 degrees Fahrenheit). To manage these side effects, individuals who have been prescribed hydrocodone acetaminophen 5-325 (or other dosages) should avoid getting up quickly to prevent dizziness. It is a good idea to eat a high fiber diet and stay well hydrated (unless otherwise instructed) to prevent constipation. Any rash that develops while on this medicine should be checked out by a healthcare provider. If any of the above symptoms persist for longer than one week, it is essential to consult a physician. It is habit-forming and can lead to misuse, abuse, and addiction with an associated risk of overdose and death. It can slow down or stop breathing. It can be fatal if accidentally ingested by a child or by someone without a prescription. It can cause neonatal withdrawal syndrome in a newborn baby if used by a pregnant woman while she is expecting – these withdrawal symptoms can be life-threatening for the infant. It can interact with other medications and result in potentially lethal adverse effects. It can cause liver failure due to excessive doses of acetaminophen. It can result in deep sedation, coma, and death when used in combination with other CNS depressants such as alcohol or benzodiazepines. Severe allergic reaction with difficulty breathing, swelling of the tongue and throat, hives, skin rash, itching, and vomiting. Adrenal problems with symptoms including nausea, vomiting, loss of appetite, fatigue, weakness, and lightheadedness. If you or a loved one develop any of these symptoms, call 911 immediately or go to the nearest ER. If you have had an allergic reaction to this combination of medicines before, tell your doctor about it because taking it again could prove fatal. In individuals with head injuries, this medicine can lead to breathing problems or increased pressure in the brain. 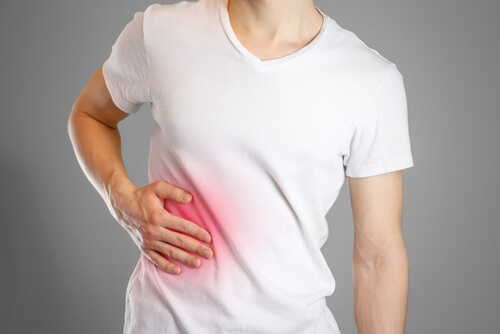 In people with constipation, ulcerative colitis, or intestinal obstruction, the drug can exacerbate gastrointestinal symptoms. In individuals with severe kidney disease, the medication can build up in the body and cause breathing trouble and other side effects. In people with lung conditions, taking hydrocodone acetaminophen can worsen breathing difficulties. In individuals with the severe liver disease, the drug can build up in the body and lead to liver failure. In men with prostate enlargement, the medicine can cause difficulty with urination. In asthmatic men and women, the medicine may lead to uncontrolled asthma – if it must be prescribed to someone with breathing trouble, the first few doses may need to be given in a medically monitored setting where adverse effects can be managed. The drug is a category C, which means its effects on the fetus are not well understood. Babies born to women who take opioid-containing medications, such as hydrocodone with acetaminophen, are at risk of withdrawal symptoms after birth. In breastfeeding women, the medicine is passed through breast milk to the baby and can lead to side effects such as tiredness and slowed breathing. In elderly individuals, the effect of the medication may be amplified due to decreased liver, kidney, and heart function – a lower dose may be sufficient in older individuals. Hydrocodone bitartrate and acetaminophen can interact with a number of different medications, herbal supplements, and vitamins. Some of these drug interactions are dangerous because they alter the way the medicine works or increase its concentration in the blood. 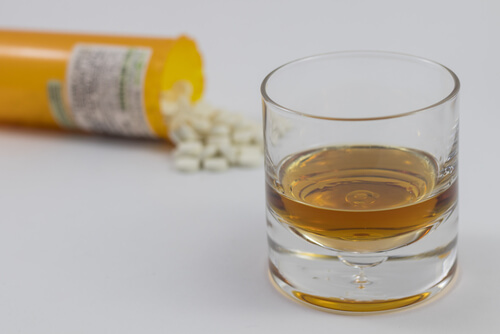 For example, mixing alcohol and hydrocodone can be lethal because both are central nervous system depressants that can cause respiratory depression, profound sedation, coma, and death. Other opioids, antihistamines, benzodiazepines, antipsychotics, sedatives, and tranquilizers that cause drowsiness and reduced mental function. Antidepressants (SSRIs, MAOIs, TCAs, and SNRIs), triptans used to treat migraines, ondansetron for nausea, tramadol pain medication, and antibiotic linezolid that increase serotonin and can lead to fatal serotonin syndrome. Rifampin, phenytoin, carbamazepine that increase the activity of certain liver enzymes so that less acetaminophen hydrocodone is available and a higher dose is needed to control pain. Erythromycin (antibiotic), ketoconazole (antifungal), and ritonavir (HIV medicine) that inhibit certain liver enzymes and can lead to increased blood concentrations with a risk of drowsiness and breathing problems. Opioid narcotics are powerful substances that act on receptors in the brain and depress the central nervous system. Hydrocodone acetaminophen 10-325 and other formulations of the drug can be habit-forming even when used with a doctor’s prescription. This is because prolonged use of opiates causes the brain to stop producing endorphins, a neurotransmitter that is naturally present in the body and activates opiate receptors to reduce the perception of pain. Opiate abuse leads to an inability of the body to naturally manage pain, leading to a need for higher amounts of hydrocodone-acetaminophen. There are a number of drug addiction treatment options for individuals who are addicted to hydrocodone acetaminophen 7.5-325 or other formulations of the medication. Naloxone is used to rescue people who are overdosing on opioids. Medically assisted detox with buprenorphine and naloxone (Suboxone) can reverse the effects of opiates during withdrawal and control cravings. Methadone can help relieve withdrawal symptoms and make detoxification less uncomfortable. If you have an addiction to hydrocodone acetaminophen, help is at hand. The important thing is to understand the negative consequences of using and start drug rehab without delay. 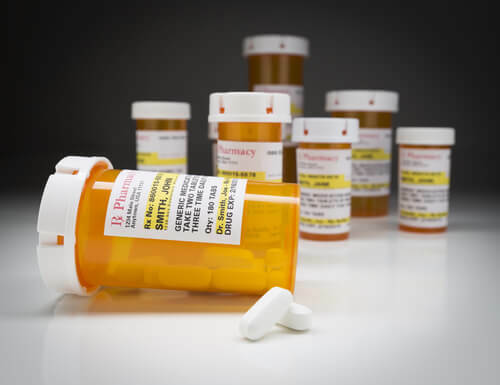 If you or someone you love is misusing prescription narcotic analgesics, call our free helpline (888)-459-5511 for more information on the correct use of these drugs. Advisors are available to answer your questions on hydrocodone and acetaminophen, give you more information on safe and effective pain relief, and guide you towards long-term recovery from addiction to opioid pain pills. Calls are always confidential and secure. Addiction Resource » Addictive Substances: The Anatomy of Drug Addiction » What Is Hydrocodone Addiction? Opioid Strengths and Uses » Hydrocodone-Acetaminophen: How to Use It Safely for Pain Relief?